The shortlist for the International Awards for Powered Access (IAPA) 2019 has been announced, following a meeting of the judges’ panel in Amsterdam, Netherlands. More than 100 entries were received for this year’s prestigious awards. 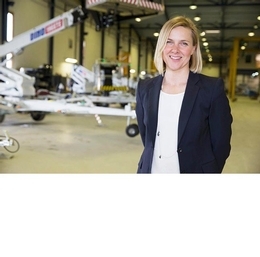 The winners will be announced on the evening of the IPAF Summit 2019 in Dubai, UAE, on Wednesday 6 March – the first time it has been staged in the Middle East. This year’s categories include Contribution to Safe Working at Height, Digital Development Award and The IAPA Innovative Technology Prize. Karin Nars, executive chairman at Finland-based Dinolift; Patrick Witte, vice president global sales and business development, MEC Aerial Work Platforms; Sérgio Kariya, president of Brazil-based Mills Estruturas e Serviços de Engenharia; Teresa Kee, director, corporate safety at US-based United Rentals; with Euan Youdale, editor of Access International, the non-voting chairman.